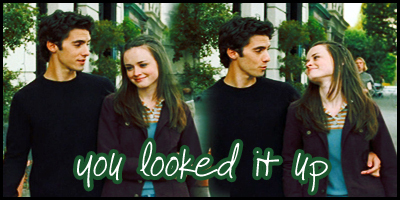 Rory and Jess<3. . Wallpaper and background images in the Rory and Jess club tagged: jess rory milo ventimiglia alexis bledel literati fan art banner mariano gilmore. This Rory and Jess fan art might contain berpakaian seorang, guaman, seluar guaman, pantsuit, orang baik berpakaian sut, penekan seluar, saman perniagaan, sut perniagaan, potret, headshot, closeup, and headshot closeup.